Americans are not getting their recommended vaccinations, putting themselves and others at risk of serious disease. This was among the findings by the Centers for Disease Control and Prevention as they released their guidance on immunizations for adults. Just 20 percent received a pneumonia vaccine for people between 19 and 64 years of age who are considered high risk for developing the illness. Among older adults, just 27 percent of people older than 60 were vaccinated with the virus that reduces the incidence of shingles. Adults are also more susceptible to disease than they know. “Our immune system weakens and we are exposed to many more viruses as we age,” Gibson said. The report also found that the rates of immunization were even worse among minorities and the uninsured. People with health insurance are two to five times more likely to get their recommended immunizations. Gibson said she believes the medical community does a pretty good job of educating the public about the need for an annual flu vaccine, but when promoting other immunizations, there can be some resistance from the public. “The flu vaccine costs about $20 to $30 but other vaccines cost $100 or more. Some people with high-deductible plans or no insurance have to make a choice about whether to get vaccinated,” she said. All adults should get the flu vaccine annually. The Advisory Committee on Immunization Practices says adults should receive a tetanus booster once every 10 years and also one dose of Tdap, which protects against whooping cough or pertussis. Women are advised to get the Tdap vaccine for each pregnancy as it protects babies from whooping cough. At age 60, people should get a zoster shot to prevent shingles, even if they have had shingles before. Two different types of pneumococcal vaccines are recommended for adults at age 65 to protect against pneumonia – sepsis and meningitis. “Older people who are physically active or teach in a college or come in contact with younger people need the meningitis vaccine because meningitis can be deadly,” Gibson said. She also recommends Tdap particularly for grandparents who come into contact with children. In addition, if you did not have all the necessary childhood immunizations, the CDC recommendations the vaccinations for the following: measles, mumps and rubella (MMR); chicken pox; and human papillomavirus (HPV). Pregnant women should not get the MMR or chickenpox vaccines. Certain people with other medical conditions may require additional vaccinations so speak to your provider about your health concerns. Also, if you plan to travel abroad, you may need added vaccinations. This year, there are some important changes to the recommended guidelines. For example, while everyone ages 6 months and older should get their annual flu shot, the nasal vaccine is no longer recommended for anyone. Gibson recommends that people receive their annual flu vaccine no earlier than October in order to get the best protection possible with the formula of the vaccine that captures all the likely strains. Another new guideline says young people vaccinated for HPV before age 15 only need two doses given at least five months apart rather than three doses. If you’re older than 15 and haven’t been vaccinated yet, you will still need three rounds of the vaccination. Also new this year, people with liver disease should get the hepatitis B vaccine, which protects against liver cancer. People with HIV or human immunodeficiency virus need two doses of a meningococcal vaccine. 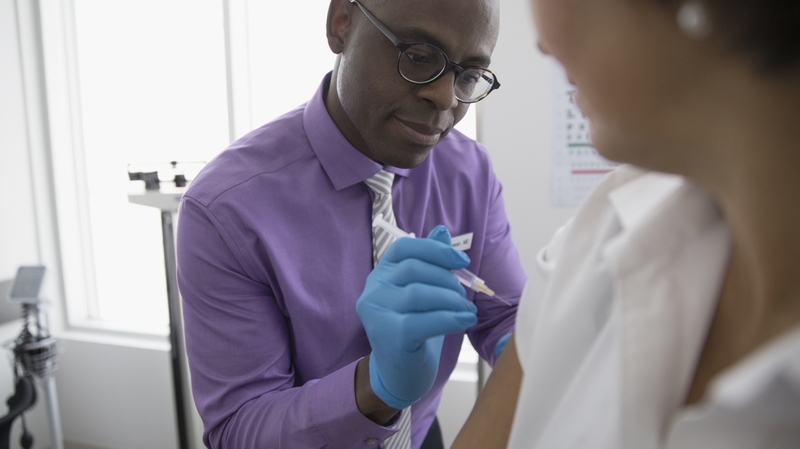 If you are unsure about whether you are up-to-date on your vaccines, schedule an appointment with a Novant Health provider.